Your waterfront decking in Anne Arundel County can be this beautiful! So much of beautiful Anne Arundel County sits on the water – from Pasadena to Severna Park to Annapolis – the county is replete with waterfront homes. If you own waterfront property in Anne Arundel County, there’s a pretty good chance you own it for one reason – it’s waterfront property! Homes on the water tend to sell for more money than dry lot homes, and of course the opportunities for fun and excitement are greatly multiplied, given the fishing, the crabbing, the boating, the swimming and, oh yeah, the view! But wait! 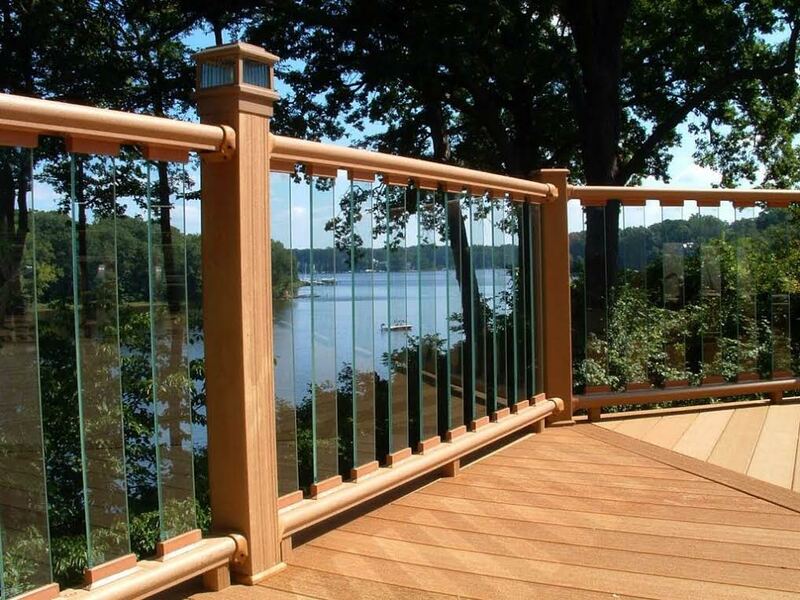 Your deck railings are blocking your beautiful view! Fortunately, there is an easy way to fix that: Waterfront Decking. With 40 years of experience, Freedom Fence and Home has provided the highest quality fence and decking services to its many residential and commercial clients throughout Maryland. Our crews are highly trained and ready to help. Freedom Fence and home has successfully completed hundreds of waterfront decking jobs throughout Anne Arundel County. Our waterfront decking options are perfect for new construction, retrofits, or remodels. If you have any questions about Waterfront Decking in Anne Arundel County, please contact Freedom Fence and Home by calling 443-271-6841 or visit our website. You can also follow us on Facebook and Twitter! This entry was posted on Monday, January 18th, 2016	at 3:07 pm	. Both comments and pings are currently closed.